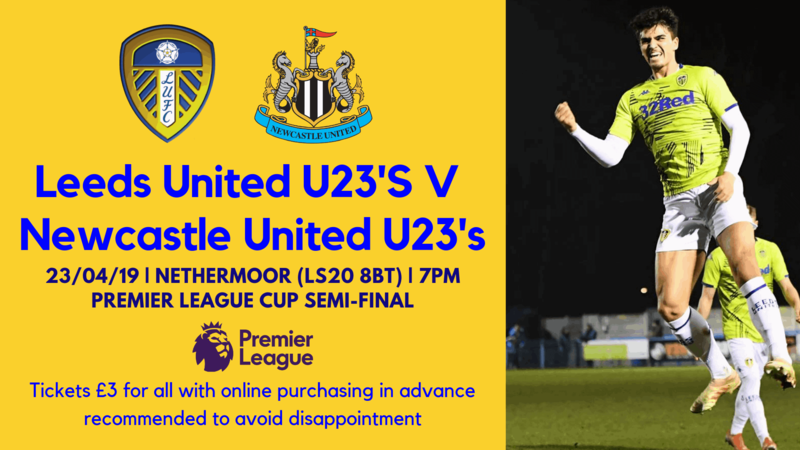 Double chasing Leeds United Under 23’s make their return to Nethermoor Park on Tuesday 23rd April, for their Premier League Cup semi-final tie against Newcastle United. The game kicks-off at 7pm with The Whites seeking a place in the PL Cup final after defeating Burnley 3-1 in the quarter-finals. Tickets are just £3 for all with online purchasing recommended to avoid disappointment, well over 1000 tickets have been sold so far. Crowds have been good at Nethermoor for the Leeds U23’s games and Guiseley look forward to welcoming another big crowd to support this exciting young team. The two teams will face each other for a third time in the competition this season after having been drawn together in Group H of the competition. Leeds won 3-1 at Nethermoor in the Group game and lost 2-0 at Newcastle. The other semi-final is between Swansea City and Everton or Blackburn Rovers. Tickets for the game at Nethermoor are available here.